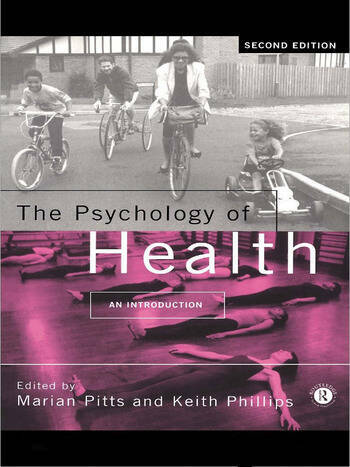 The first edition of The Psychology of Health has become the standard recommended text for many courses. This completely revised and updated second edition contains new material in all chapters and has several additional chapters on such topics as cancer, nutrition and exercise, social drugs, and the impact of social inequalities upon health. The Psychology of Health will continue to be invaluable for students of health psychology and related fields, including nursing, social work, community care and health studies. * a source for further study: with annotated guides to reading and an extensive bibliography. Part 1: Introduction. An Introduction to Health Psychology. Psychophysiology, Health and Illness. Stress and Coping. Part 2: Patient Behaviour and the Management of Illness. The Medical Consultation. The Experience of Treatment. Pain: Psychological Aspects. Part 3: Health Issues. Social Drugs: Effects upon Health. The Primary Prevention of AIDS. Decision Making for Contraception and Abortion. Essential Hypertension. Coronary Heart Disease. Diabetes. Nutrition, Exercise and Health. Cancer. Part 4: Wider Social Issues. Child Health, Illness and Family Influences. Social Circumstances, Inequalities and Health.